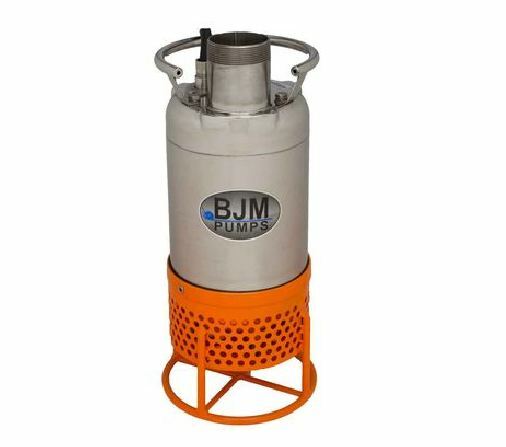 Hard Metal Submersible dewatering pumps. Designed and constructed for dewatering sand, silt, coal fines and abrasive light slurries. Chrome Iron impeller and wear plate. Hardened ductile iron agitator and volute. Built-in agitator mixes settled solids with pump water to restore sump or basin volume. Light Weight.